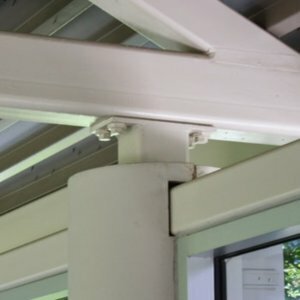 Easily install from one side of your connection, eliminating the need for rear access. 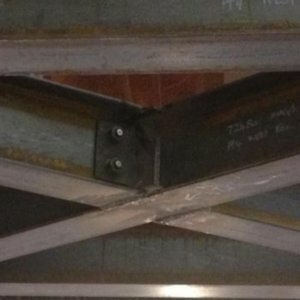 Unlike a welded solution, BoxBolt allows you to know exactly what your safe working loads are with a 5:1 safety factor. 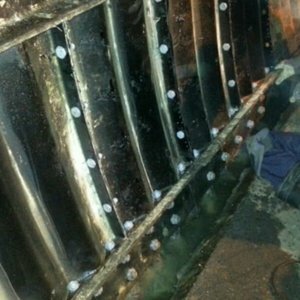 No need for a hot weld permit and only requires you to drill one hole in your structure. Hole Diameter Choose one... 1/4" 7/16" 9/16" 3/4" 13/16" 1-1/16" 1-5/16" 1-3/8"
Bolt Diameter Choose one... 3/16" 1/4" 5/16" 3/8" 1/2" 5/8" 3/4"
Learn how 10,000 Box Bolts were used to secure 5 miles of guardrail to existing structural steel. To tighten down a BoxBolt, an installer must typically use 2 wrenches to install one bolt - one to hold the outer sleeve stationary, and one to turn the inner bolt. The BoxSok adds simplicity to the installation process. Attached to a regular socket wrench (air powered makes this a snap), it takes the place of both wrenches. The BoxSok has an outer piece that will hold the sleeve of the BoxBolt stationary, while an inner piece turns the bolt. This makes what would have been a 4 minute job (per bolt) into a 30 second job. 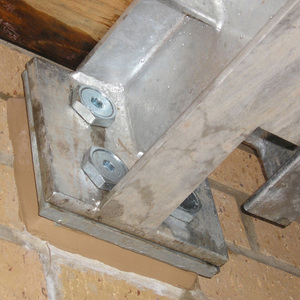 BoxBolt connectors are used here to secure a bracket to structural tube. 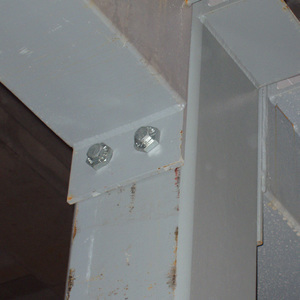 Structural tube to structural tube sections being connected with an angle bracket. 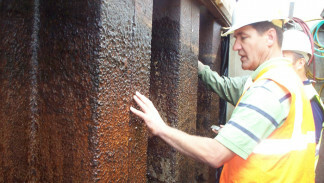 Structural tube with drilled end plate being connected to vertical structural tube. 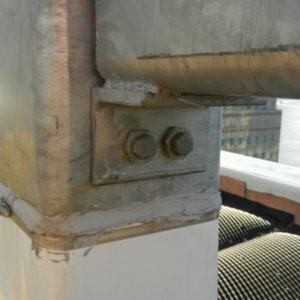 The core bolt down the center of the BoxBolt connector can be replaced with threaded rod, eyebolts or other threaded items. 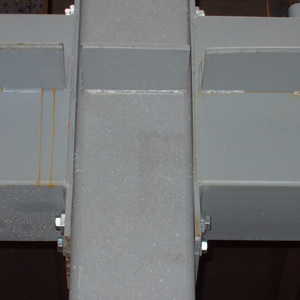 By inserting one structural tube inside another, a sleeve connection can be easily made using the BoxBolt connector. 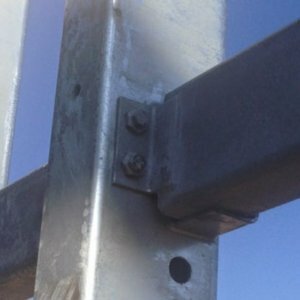 The BoxBolt connector is suitable for most profiles of structural tube, including circular sections. 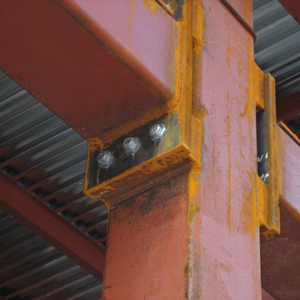 The BoxBolt connector can be used with other BeamClamp products to connect structural tube sections to existing steel without the need for site drilling and welding. 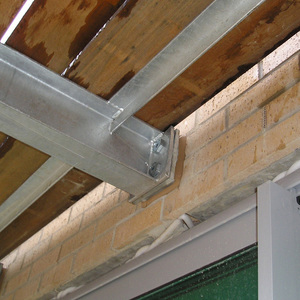 The BoxBolt connector can be used to secure glazing panel brackets to building structures with access only required from one side. 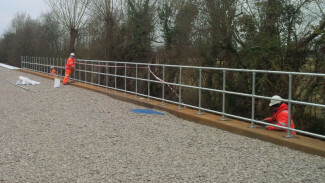 The BoxBolt connector can be used to connect any bracket, such as the mounting plate of handrails to structures, with access only required from one side. The ESR-3217 approval document has been published on the ICC web site. For a complete list of testing criteria and load ratings, download the Box Bolt catalog. 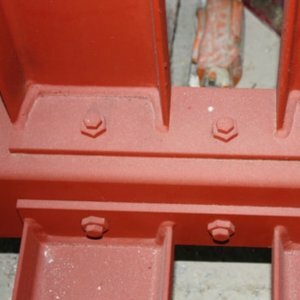 The clamping range of the BoxBolt connector is the combined thickness of the steel being connected and the steelwork being connected to. 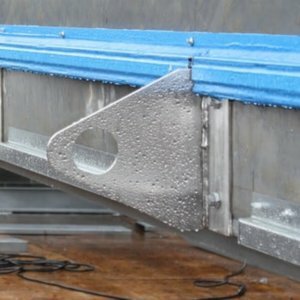 Each diameter of the BoxBolt connector has three overlapping lengths designed to accommodate a wide range of material thicknesses. If your clamping range exceeds those stated above, special lengths are available. Download the catalog for a complete table of clamping ranges for each bolt. All of the important details about BoxBolt in a print-friendly format. 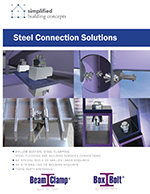 The BoxBolt catalog contains technical data, installation tips, and a detailed cost analysis.